A doctor’s tiny buzz saw was etching the path to freedom down Gabrielle Thurlow’s casted foot. 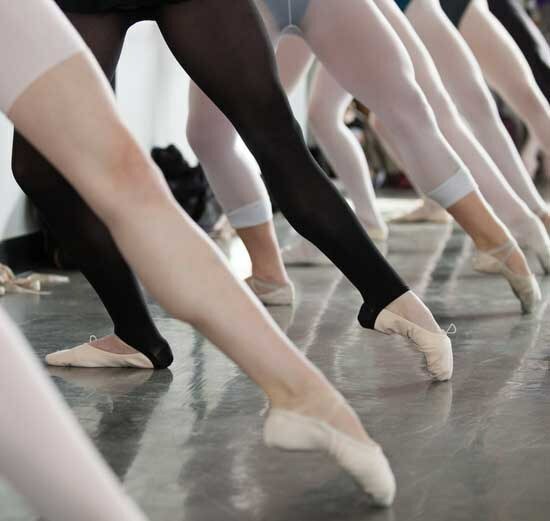 It had been several weeks since the Pittsburgh Ballet Theatre dancer had rolled the wrong way out of a relevé, leading to a flood of bad news: broken, surgery, crutches, out for months. Now, with a metal screw in her fifth metatarsal, she had survived two weeks of immobility. The plaster was pulled back and Thurlow gratefully tried to stretch her foot to pointe—but it barely moved. A wave of panic rushed through her: It’s never going to be the same, the director will forget about me, I have to be back in time for Nutcracker. She realized the hardest part was yet to come. The pain of injury goes far beyond tendons tearing or bones breaking. For many dancers, it is the fear, self-doubt and depression that cuts deepest. These mental hurdles may cause you to shy away from certain movements or push too hard on a healing body. But there are logical reasons for the fear, and simply acknowledging it may be the most important step in the process of overcoming injury. Jennifer Green, physical therapist and founder of PhysioArts in New York City, recently witnessed this kind of trauma while working with a dancer who was performing a featured role in a Broadway show. “He tore his ACL doing a particular pas de deux and had to return to that show and that particular number,” she recalls. When it came time to rehearse, he would get to the point in the choreography where he had injured himself and be unable to continue. To address the fear, Green began playing the music from the pas de deux in the clinic while they worked, incorporating movements from the choreography into their exercise. She advised that he speak with a sports psychologist, which helped tremendously. She also went to the studio to work through the choreography with him during a rehearsal to make him feel confident that his placement was correct. Eventually, he was able to get over the hurdle, and return to the show for another year and half. Recovery also comes with a host of fears that you are more consciously aware of, but you may not be addressing. Goldberg points out that for most dancers, your sense of identity and self-esteem come from dance. Dancing may also be the way that you’ve traditionally coped with stress. “There’s a feeling of being lost,” he says. “There’s identity confusion and there’s depression because you’ve lost your ability to be recognized.” For Thurlow, one of the lowest points was an afternoon she went to the studio for a Pilates session and saw a group learning Marie for The Nutcracker, a role she’d been hoping to learn. Standing at the door, Thurlow felt she had disappeared while everyone else kept dancing. Manage your expectations by setting new goals. You are no longer competing with the best dancer in the room—you aren’t physically able to. “Where are you now and what are you able to do?” asks Goldberg. Focus on the progression you’re making in your physical therapy and cross-training. “Being involved in your own healing is a way to have power,” he adds. Green also suggests taking lower-level classes while working back up to full strength. This will allow you to focus on the basics, and it will help take the edge off—with a different teacher and classmates, you are less likely to push too hard. “Seek out places where you feel like you don’t have to impress anybody and can work on your own recovery,” she says. Dancers are masters of working through discomfort, but when you’re returning from injury it can be easy to become paralyzed by the fear of reinjuring yourself. “In general, I would say that no pain is good pain,” says New York City physical therapist Jennifer Green. “But when you’re coming back from an injury it’s common for the area that’s healing to maybe talk to you a little bit when you first return. Especially because your awareness of that area is heightened.” Talk to your physical therapist about any pain you have and don’t be afraid to ask questions.